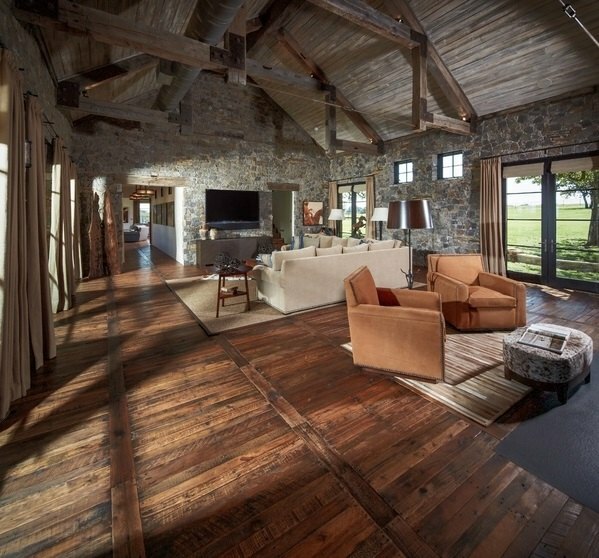 Pallet flooring can be strikingly beautiful and pallet wood is suitable for residential flooring despite the fact that people think that such floors are only suitable for garages, utility rooms or storage rooms, barns, sheds, cellars, basements, warehouses, and even farms where animals are kept. 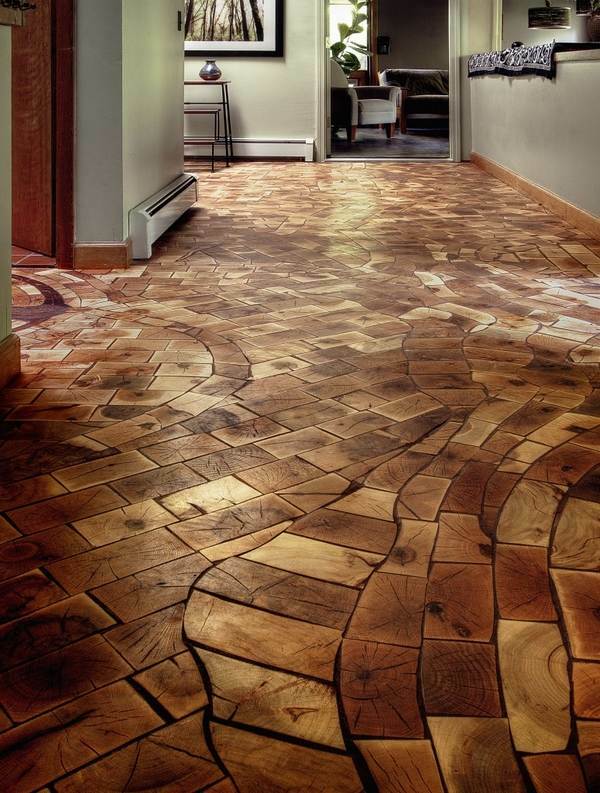 In this article we will show you how wooden pallets make beautiful floors in homes. Pallets are almost a universal material for making various furniture pieces – tables, sofas, desks, wine racks, outdoor furniture, creative wall decorations, accent walls, garden decorations, you can even build a pallet house – there is no limit to creativity and imagination. 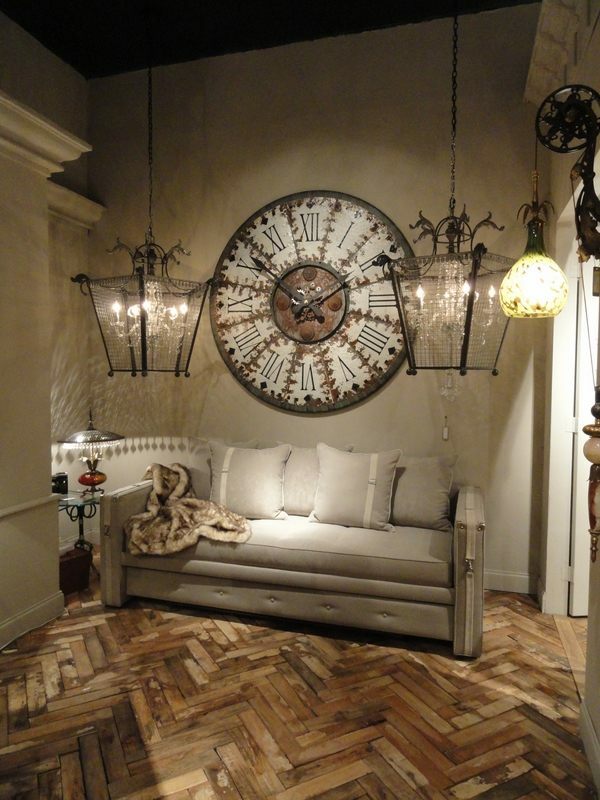 Pallet floors work with many design styles – rustic, Mediterranean, Industrial, modern, Shabby chic and are a great feature in the interior design of any room. 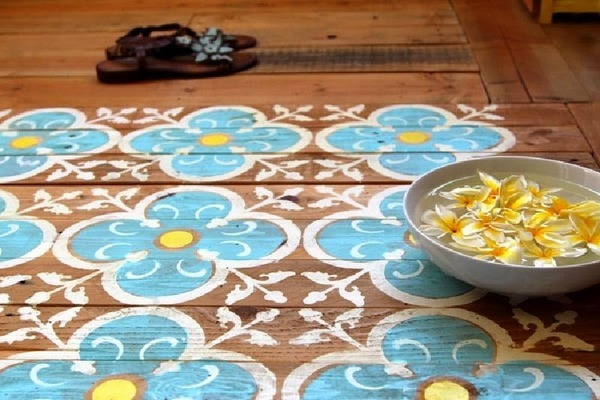 Nowadays upcycling ideas are especially popular and more and more people prefer to use reclaimed wood for various DIY projects – home and garden furniture, home decorations or flooring. 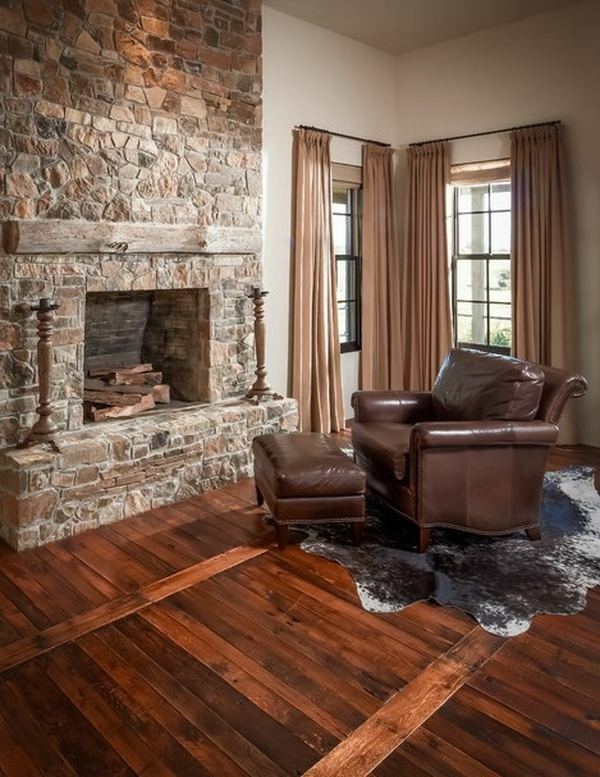 Pallets can be seen in dumps and until recently, people used them as a source of wood for the fireplaces. Most often they lie abandoned in a warehouse, once they are no longer suitable for commercial use. 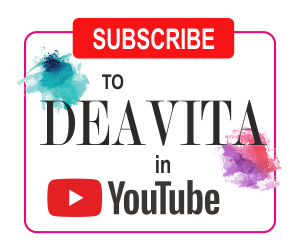 We have shown you various ideas how to use the wood in different DIY furniture projects – bed headboards, herb gardens, etc, and give a new life to something that is considered to be rubbish. 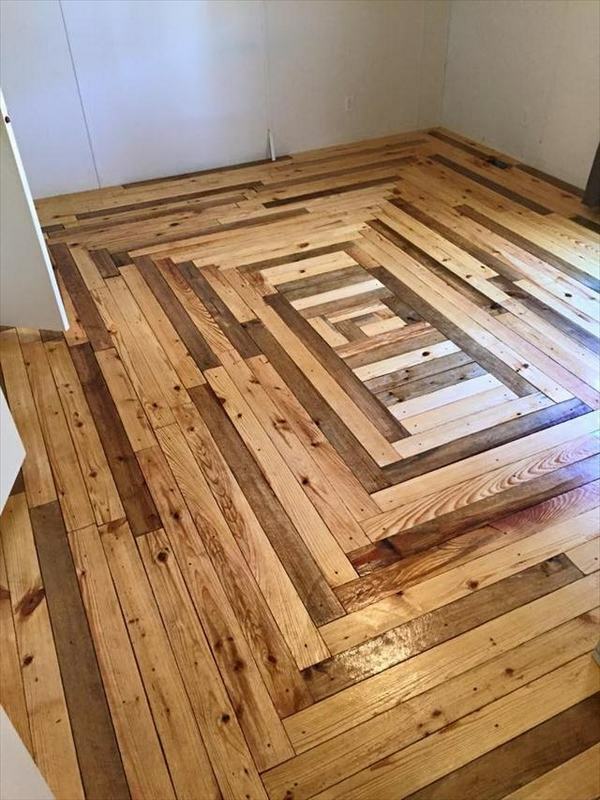 All you need is a plan, some accurate dimensions, a plan and of course pallet wood. 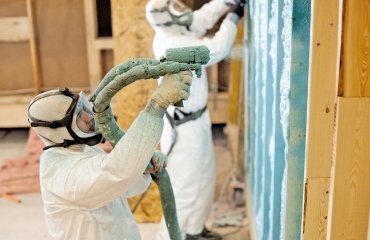 How are pallets manufactured and what wood species are used in the production process? 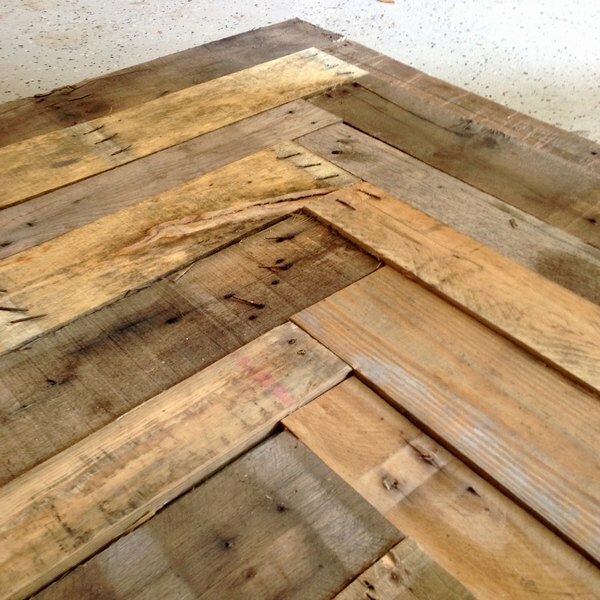 Is pallet wood dangerous? 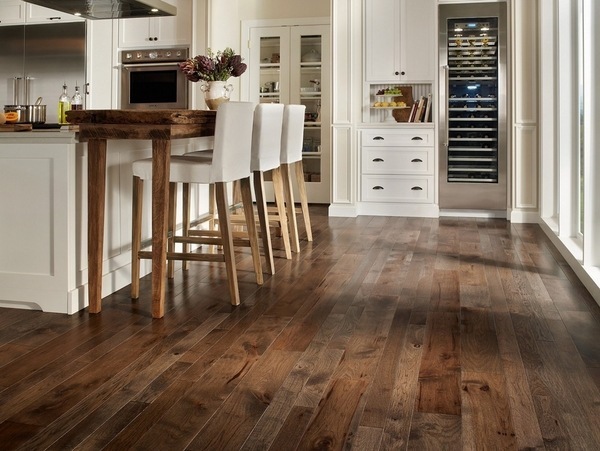 Why choose it for your hardwood flooring? 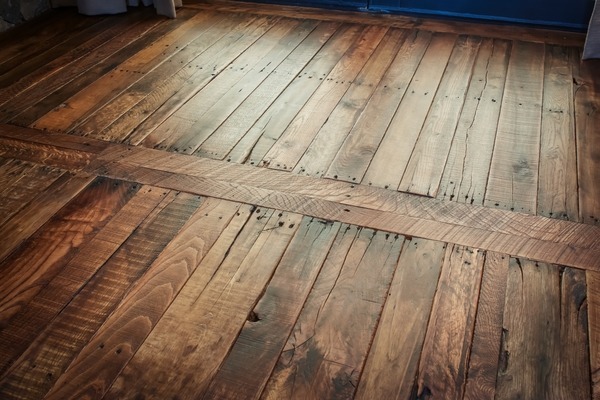 What are the advantages of pallet wood and what do you need to know before going to a warehouse to buy old pallets? 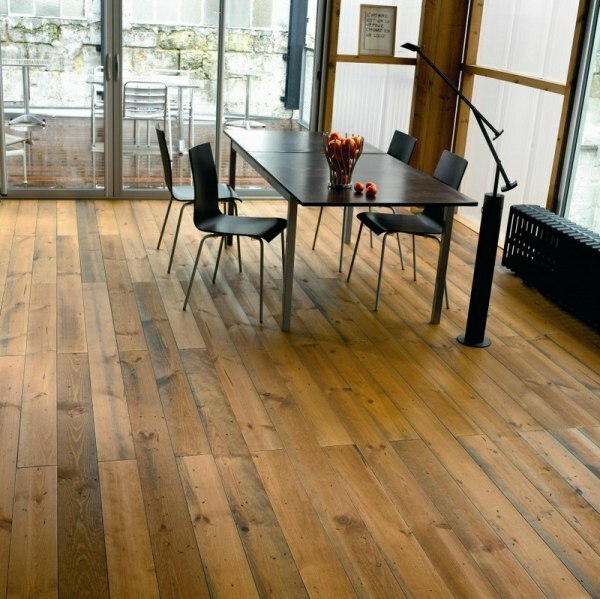 We shall answer these questions and will point out the most important advantages of pallet flooring. 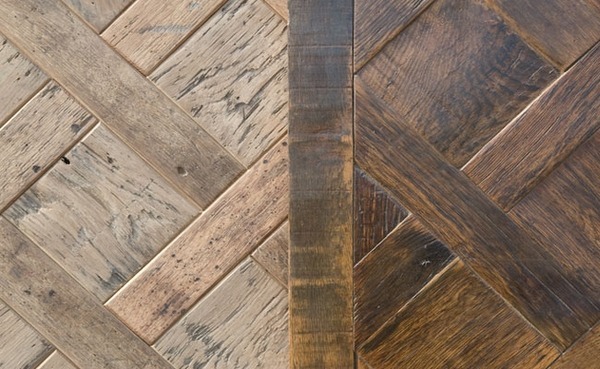 Let’s start from the beginning – what wood are pallets made of? They are made very strong, usually form premium grade lumber, as their main purpose is to withstand a heavy load during transport. That is why all the parts are attached with special nails which are not so easy to pull out of the wood. Pallets are widely used in production, storage, trade and logistics operations and almost every industrial, commercial or trading company use wooden pallets. What wood is used in the production of pallets? Most wooden pallets are made of softwood, which proved to be a durable and long lasting material. Birch and pine are the most popular wood used for the manufacturing of pallets as they are pliable and easy to work with. 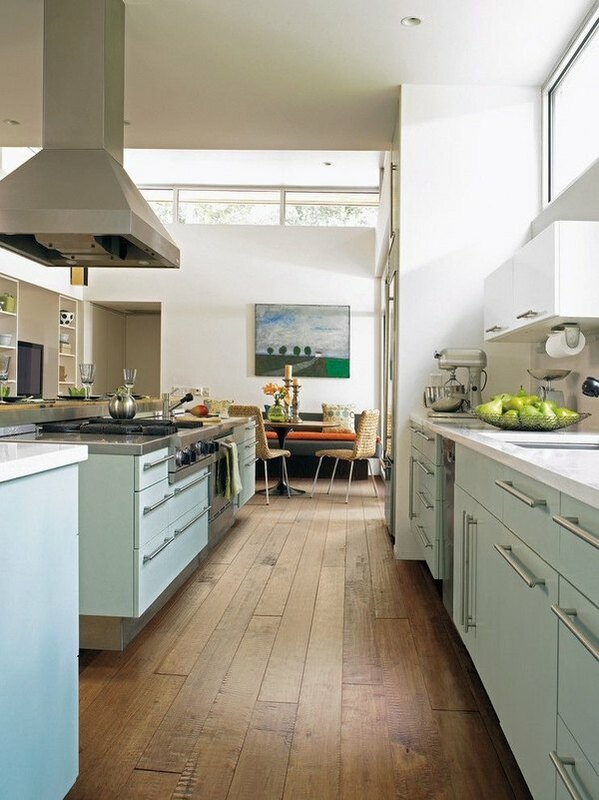 Larch is another wood species, which has excellent properties and endures prolonged exposure to moisture. Larch does not warp and is easy to process as well. Juniper and yew are used for the smaller parts due to the high strength and density. 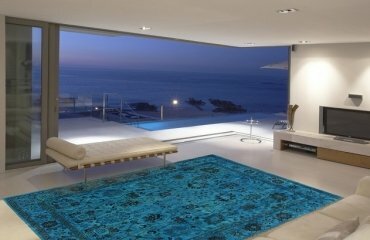 Those are extremely resistant to environmental effects, and withstand changes in temperature and humidity levels. The requirements for high quality, which is essential for pallets that are used in commercial and transport operations, is a guarantee that the wood is durable and the pallet is sturdy enough to bear a heavy load. 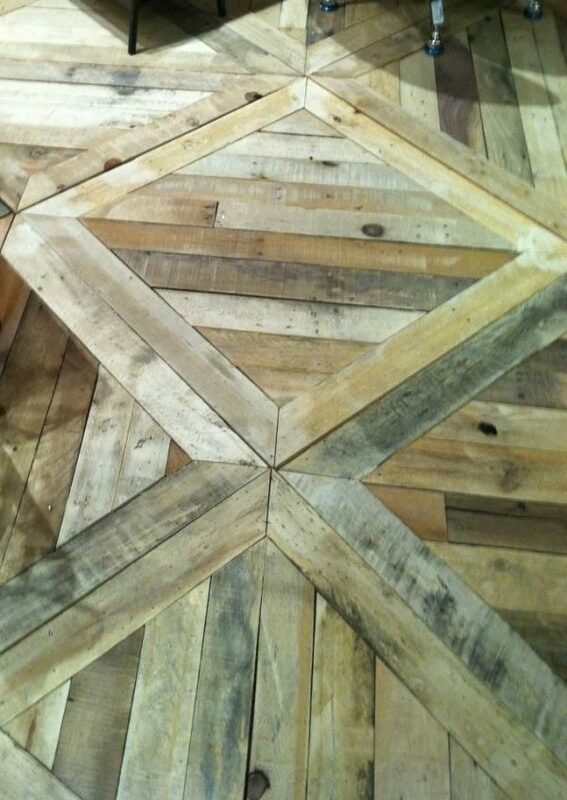 As you see, pallets can be made from different wood species. 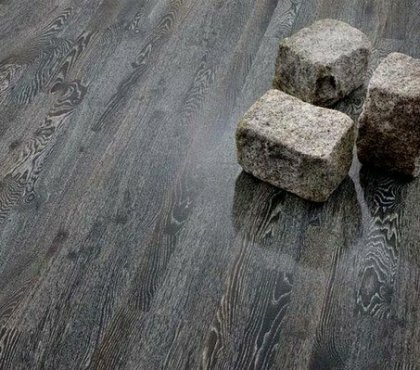 This means that pallets come in various shades and when we talk about pallet flooring, this is an important consideration. Larch, for example, may have more than a dozen bright colors. 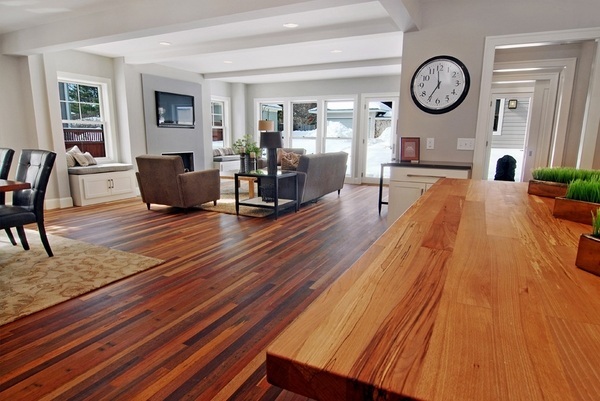 The color of natural wood will vary depending on a variety of factors and their influence. You should not forget that the color can change over time – usually pallets that are stored in the open air get darker. 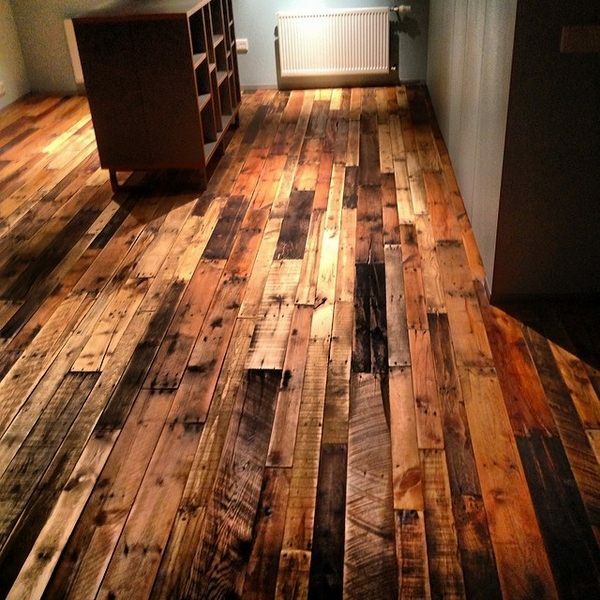 Pallet flooring ideas – is pallet wood dangerous? 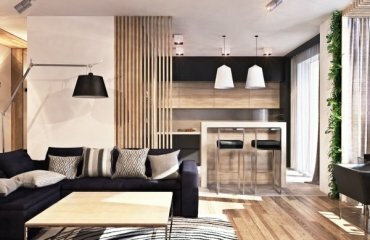 A major concern of many people, and when we speak about pallet flooring ideas, this concern is quite understandable, is whether pallet wood is safe for residential use. 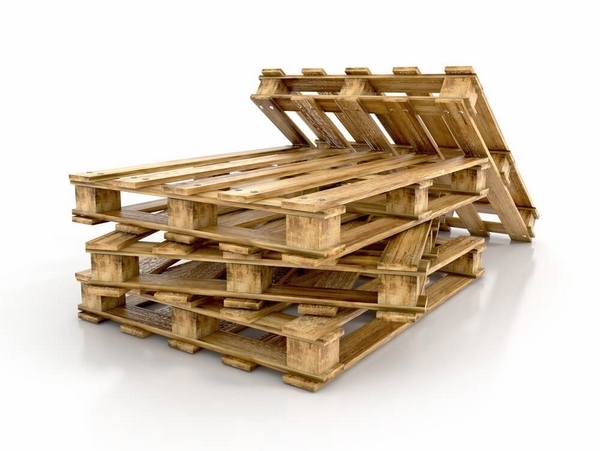 Wooden pallets are manufactured in two varieties – for one time use and multiple use. Softwood is used for the production of one time use pallets, while hardwood is used for pallets for multiple use. Most companies use heat treatment although there are pallets treated with methyl bromide, which is a dangerous chemical to both people and the environment. 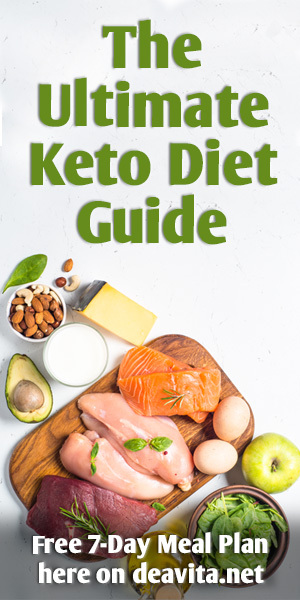 However, the international regulations and standards are very strict and pallets treated with methyl bromide are banned in Australia, New Zealand, Europe and Canada (and probably many other countries). Pallets are required to have a logo certifying whether the pallet was heat-treated or fumigated with Methyl Bromide. The good news is that most companies prefer the heat treatment but it is advisable that you ask for information where the it comes from or what it has carried. 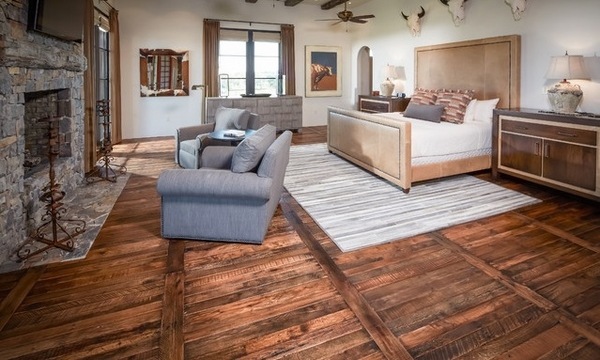 Pallet flooring ideas do look appealing and attractive and the growing popularity of pallet wood as a material for home flooring is due to the advantages that pallets offer. 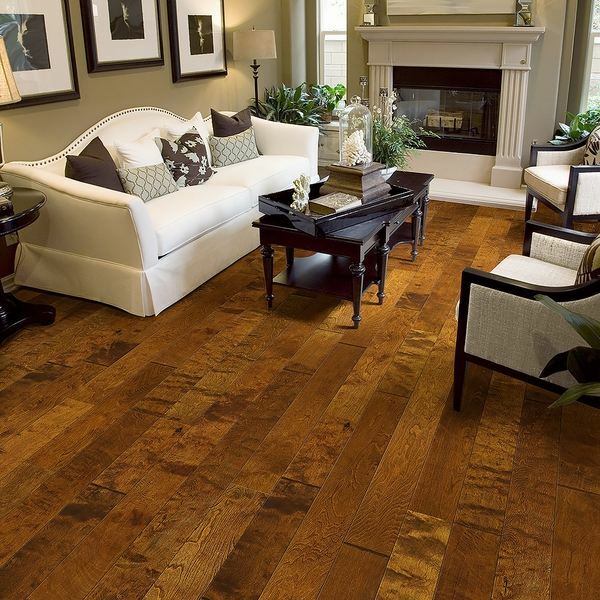 Low price – One of the greatest advantages of pallet wood floors and pallet wood, in general, is the low price compared to other hardwood floor options. Wooden pallets are very cheap and you can buy them at very low prices or, if you are lucky, you may get them for free. 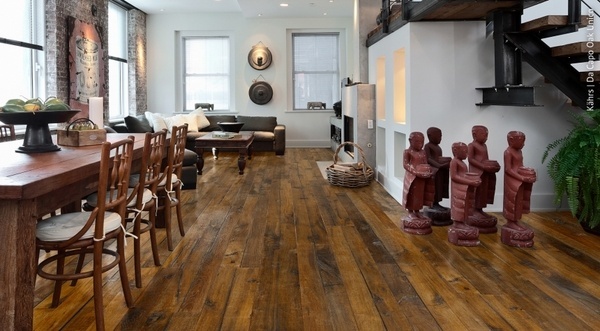 Durable and strong – pallet wood is strong, durable and reliable. Remember that they are purposed to hold up heavy loads. Availability – Pallets are easy to find. 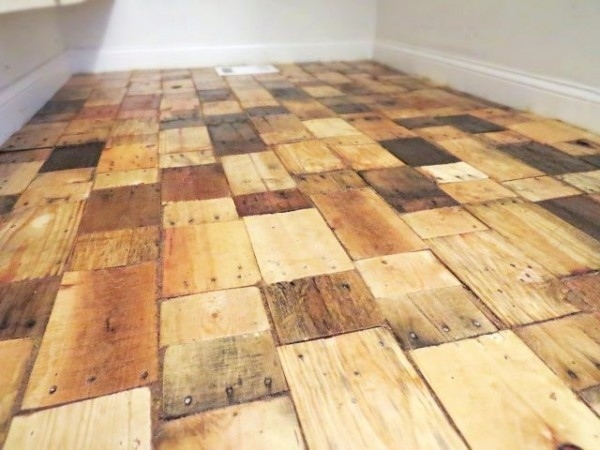 You can buy new ones from manufacturers or used from dealers of reclaimed wood Pallets can be found also in grocery stores, department stores and warehouses or small hardware stores. Wooden pallets are recyclable and you only need some creativity and upcycling ideas to convert pallet wood into numerous furniture pieces, garden fences, flower beds, garden edging, etc. 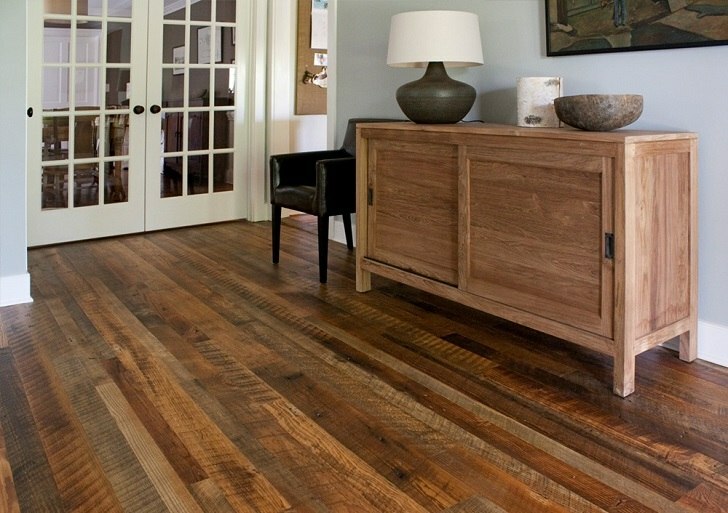 We have to point out some of the disadvantages of pallet wood. On the first place is the fact that they are prone to bacterial growth and can develop fungus if kept damp for longer periods. Wooden pallets are more susceptible to infestation by termites, ants and other insects, especially those that were stored outdoors. 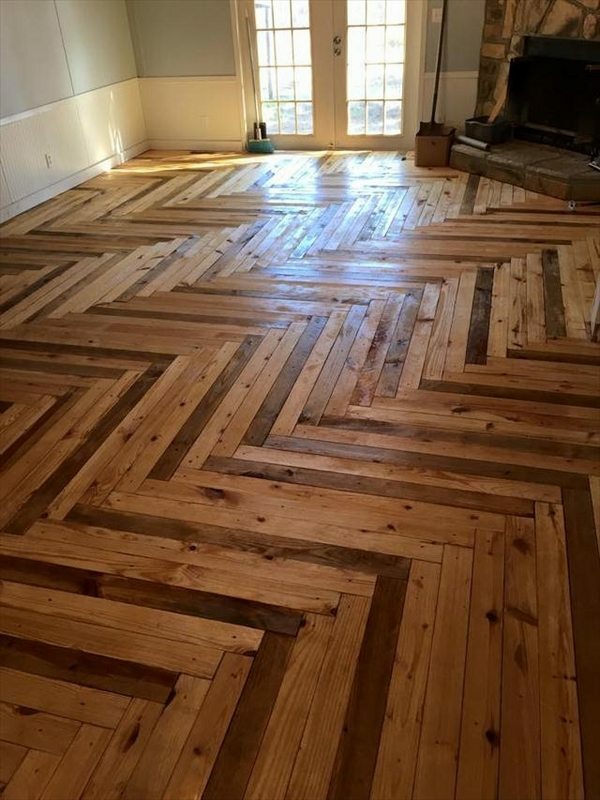 When you plan a pallet wood floor, make sure that the pallets were kept dry and stored in a warehouse, as this means that wood will have a longer life. 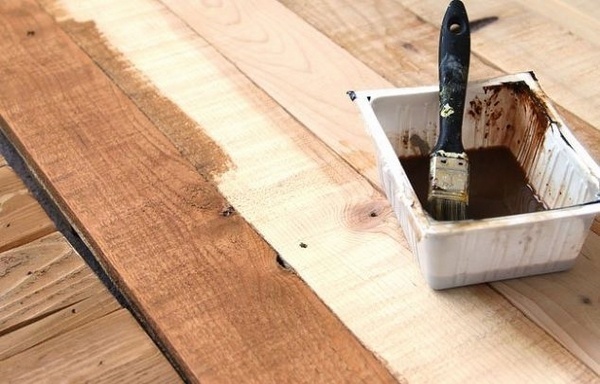 The surface of wooden pallets can be difficult to clean as it is quite rough. Dirt and stain go into the rough surface easily and can be hard to remove. 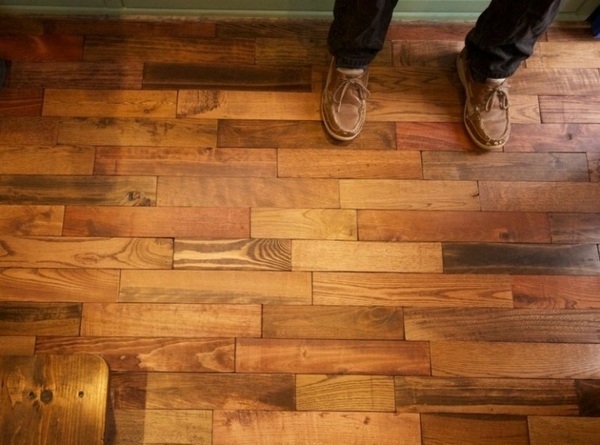 How to install pallet wood flooring? 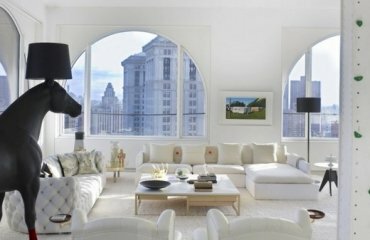 Many people opt for a DIY project while others prefer to hire professionals. 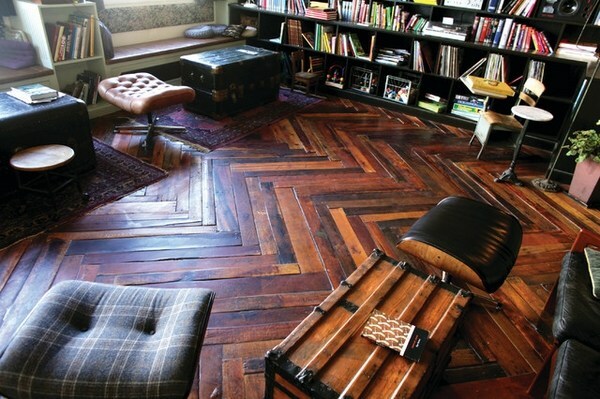 We shall give you some tips if you plan to install a pallet floor in your home which will be useful guidelines. Make sure you use pallets which have an IPPC logo. Avoid pallets that are marked with “MB” (Methyl-bromide) or “CT” (Chemically Treated). Look for pallets that are marked with “KD” (kiln-dried) and “DB” (debarked) – those are not dangerous to your health. Make sure that the pallets that have not been exposed to wet conditions for a long period. Dismantle the pallets. 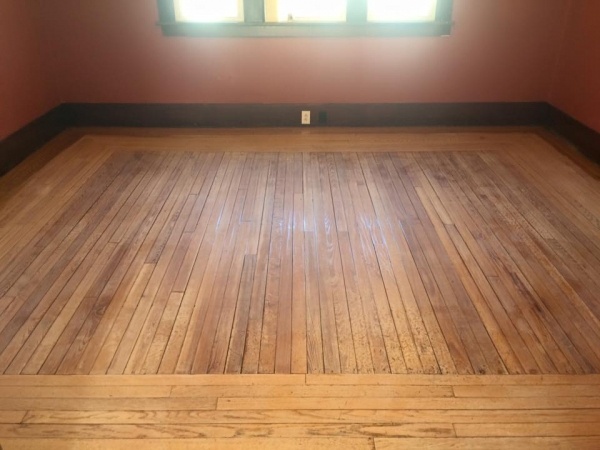 This may be the hardest part in your pallet flooring project as pallets are not meant to come apart and usually they are manufactured with galvanized nails which have serrations to bind to the wood. You can use a claw hammer, a crowbar, a circular saw or any other tool to remove the nails and any other metal parts or staples. Remember to wear protective gloves as you will get a lot of splinters. 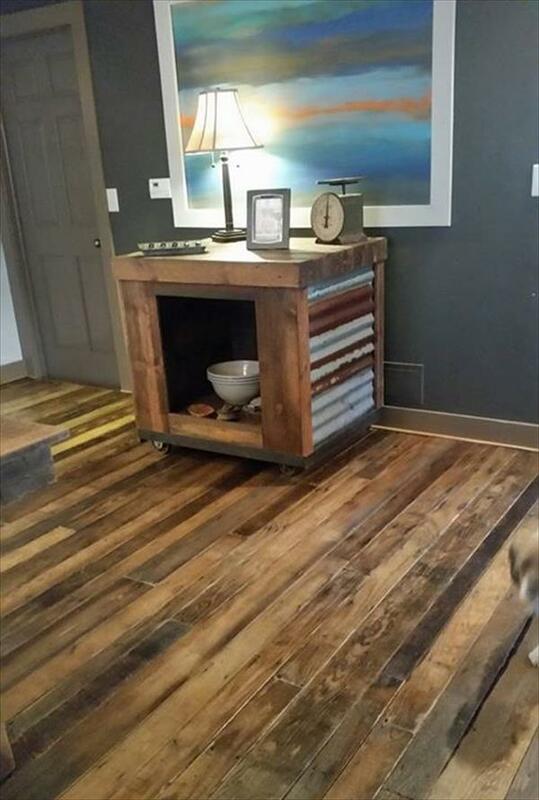 Once you have your pallet wood floor planks with an electric power sander. 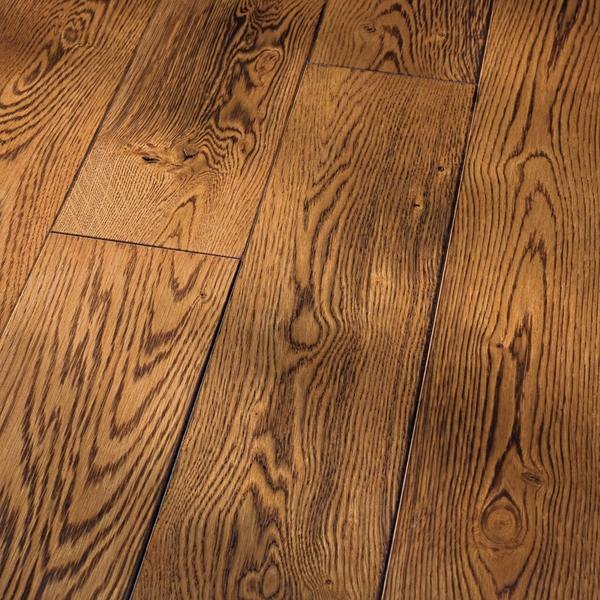 Sand both sides of the planks so that you have a flat and smooth surface for the visible floor and the subfloor. 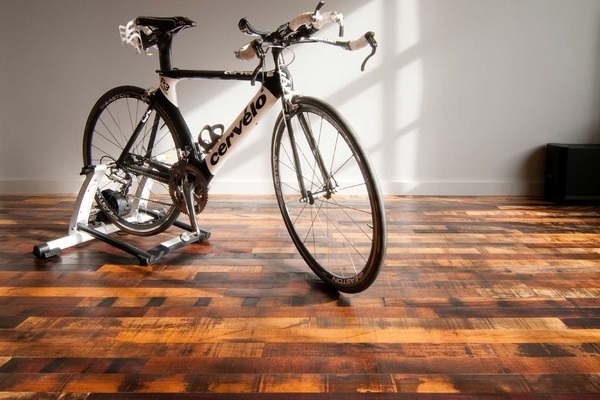 You can install the pallet flooring over an existing floor or remove the old floor beforehand. 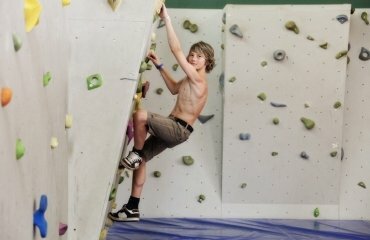 Make sure that the base is level or your planks will not lie properly. Roll out under layment paper and cover the entire floor. When the prep work is done, you are ready to install the pallet flooring. 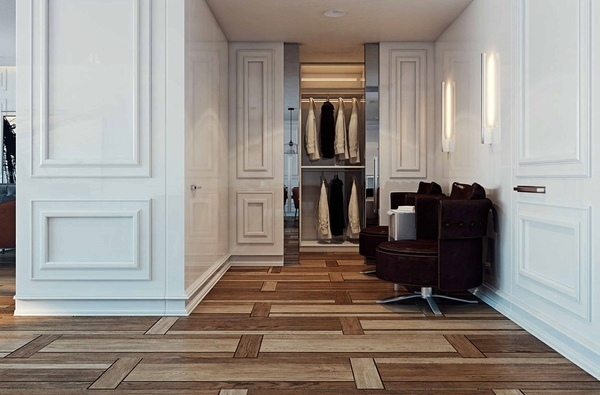 You can arrange the floor planks in different ways – zigzag, Herringbone pattern, parquet pattern, etc. 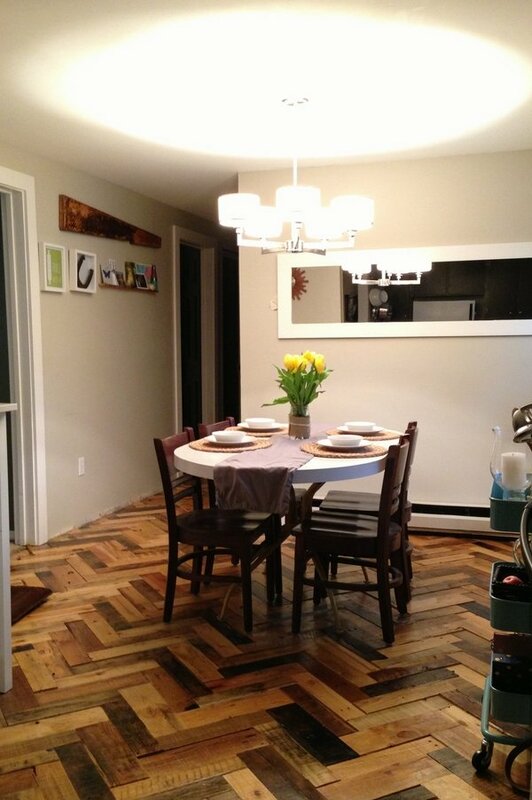 Install the floor planks in the desired pattern using floor nails to fasten them until the entire floor is complete. 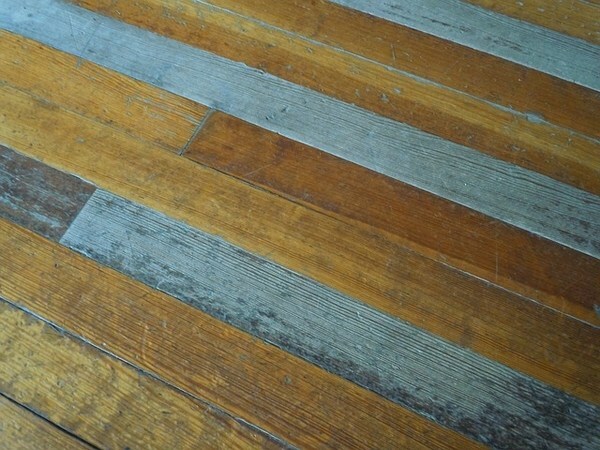 Finishing the pallet wood floor begins with cleaning the surface from dust and tiny particles. 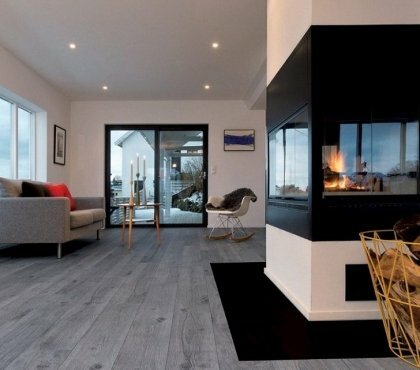 The type of finish will depend entirely on your personal choice and preferences – paint or stain for a uniform color of the floor, a coat of polyurethane or if you prefer, you may leave the floor unfinished. 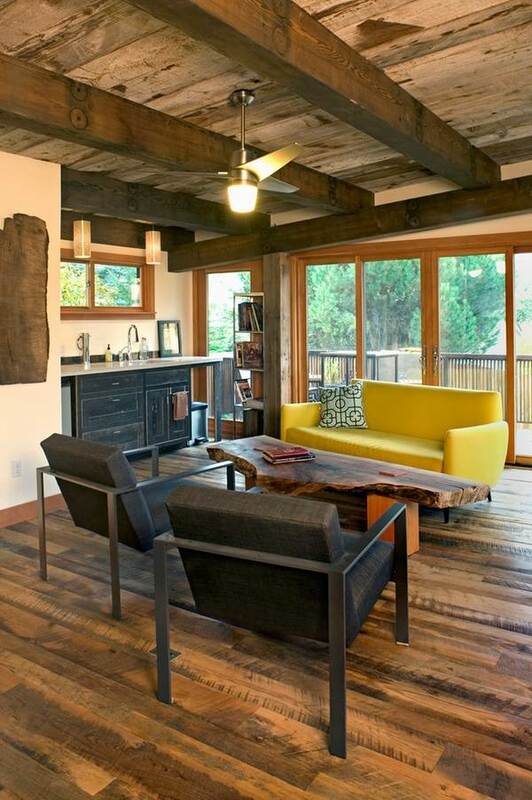 Take your time and enjoy the pallet wood flooring ideas in the gallery below. 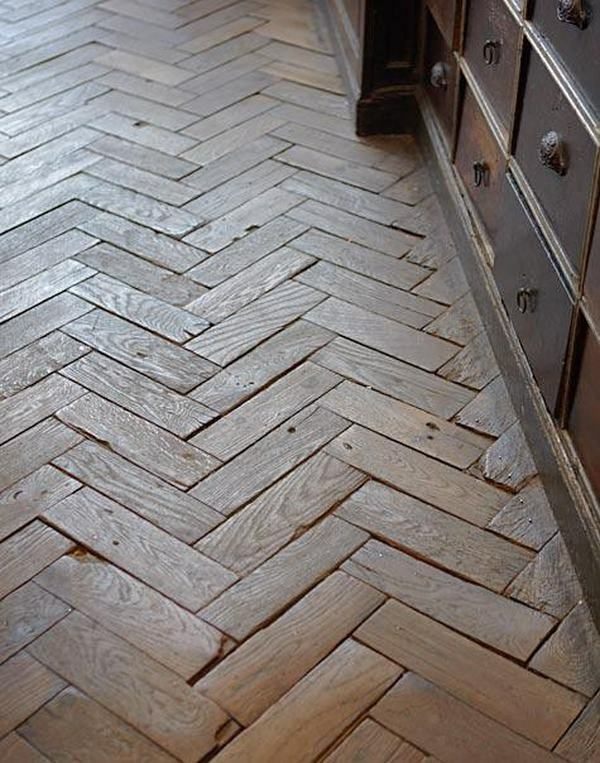 You will see different patterns, finishes and we hope that you will get inspired for another great upcycling idea – a beautiful pallet wood floor!